One For Lunch: A nicely balanced blend of Shiraz and Viognier from the Barossa and Eden Valleys can be found in the 2005 Pepperjack Shiraz Viognier that with its rich, ripe and plentiful fruit characters makes a good partner with game dishes or Chinese five spice quail. Certainly worth the $22.99 asking price for enjoyment now, or with its screw cap it will develop further over the next three or four years in the cellar. A couple of wine buffs have just paid $308,000 between them for two complete collections of every vintage of Penfolds Grange. And a single bottle from the first-ever vintage in 1951, fetched $51,000 at the same on-line auction conducted by Langton’s Fine Wines earlier this month. There were 51 bottles in each of the two collections, stretching from the inaugural 1951 to the latest released on the market, the 2002. One collection went under the hammer for $157,551 and the other for $149,501. They were amongst a total of 1386 lots of some of Penfolds’ greatest-ever vintages, including two rare imperials (6-litres/8-bottles) of the 2004 Bin 60A Coonawarra Cabernet Barossa Valley Shiraz and 2004 Block 42 Barossa Valley Cabernet Sauvignon that fetched $15,972 and $15,526 respectively. It has been credited with rivalling some of the greatest wines of Bordeaux and Burgundy, listed by America’s Wine Spectator magazine as “one of the greatest wines of the 20th century,” and is the only wine to be heritage listed by the South Australian National Trust. The current-release, 2002, is selling for around $500 to $525. One For Lunch: Starvedog Lane’s 2006 Sauvignon Blanc is a real quaffer of abundant grapefruit and lime flavours and a lively natural acidity that reflects the cool Mediterranean hills climate of its home in the Adelaide Hills. Pay $24.50 and offer with soft shell crab accompanied by wilted spinach and a warm tomato-basil vinaigrette. ITS not so long ago that growing grapes and making wine was the last thing on peoples’ minds in the cattle country of Queensland’s historic South Burnett. But in the early 1990s a consortium of wine-lovers and investors did their research and figured that the area, that had been described as far back as 1861 as “the greatest pastoral district in the whole colony,” had the potential to add winemaking to its beef and dairy heritage. They planted their first grapes in 1995 on the 150 year old Barambah estate, and so successfully did the idea take off that there are now around eighteen other makers in the area, although cattle is still the region’s mainstay. 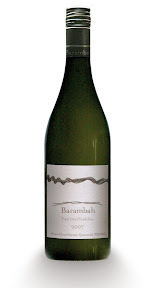 Barambah Wines, that was bought in 2006 by Steve and Jane Wilson as an adjunct to their cattle business, has recently released a classic Unwooded First Grid 2007 Verdelho to add to its range of First Grid Chardonnay, Shiraz and Cabernet Sauvignon, and Rack Dried Semillon. 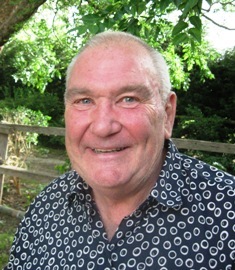 The wine was made by respected consultant-maker, Peter Scudamore-Smith who has an enviable reputation for coaxing the best from the grape, and almost cheekily boasts its Queensland heritage with beautiful ripe mango, pawpaw and lime sherbet acidity on the palate, and a lifted tropical nose. Good buying at $19 from Barambah’s “cellar door” at the Cheese Centre in Kingaroy, or check-out www.barambah.com.au for select outlets or to order on-line. It’s a great wine on the table with a Thai Green Chicken Curry. ONE FOR LUNCH: IF you’re looking for a nice bubbly for upcoming celebrations but want to go a bit lighter on the alcohol, try the Italian Riccadonna Ruby that’s just 8% alcohol – compared with around 12- to 14% for most other sparklings and Champagnes. This is a fruity, naturally sweet red bubbly that’s great value at around $16, and goes really well with char-grilled salmon, turkey, pork or puddings, crumbles and soufflés. WAY back in 1880 Ferdinand de Lesseps started his ill-fated attempt on the Panama Canal, Wabash Indiana became America’s first city to be lit solely by electricity, Canada allowed women to practice medicine for the first time, and Ned Kelly was hanged in Melbourne. The same year the King family planted the Old Hill Vineyard in the foothills of the Hunter Valley’s Brokenback Range – and 120-odd years later fruit from those gnarled old vines is still used to make one of Australia’s most legendary wines, that honours its most legendary winemaker, the late Maurice O’Shea. O’Shea bought the vineyard in 1921 and at the same time planted the Old Paddock Vineyard and established the esteemed Mount Pleasant estate; today McWilliam’s Mount Pleasant Maurice O’Shea Shiraz honouring him and Mount Pleasant is the company’s flagship red. The just-released super-premium 2004 made predominantly from Old Hill fruit with a small proportion from Old Paddock, lives up to the label’s outstanding reputation, coupled now with the advantage of being the first vintage to be bottled under a screwcap to ensure a good five or so years further cellaring. This is a wine with a generous nose of plums, raisins and raspberries, hints of paprika, pepper and smoky chocolate oak, and on the palate dense sweet fruits, ripe fruit tannin, vanillin oak and a touch of spicy paprika. Pay $65 and serve with roast duck, red currant jus and seasonal vegetables. ONE FOR LUNCH: IT doesn’t matter much whether you are a traditionalist and like to finish a celebratory meal with desserts of the wonderfully rich, dark Christmas pudd -style, or more modern playthings like horns of chilled dark chocolate filled with whipped soft white chocolate, a great wine that’ll match either is De Bortoli’s Show Liqueur Muscat. This rich fortified is loaded with raisin, fig and dried fruit flavours, and as English wine scribe, Matthew Jukes once wrote, is like “liquidised boozy Christmas cake in a glass.” Well worth the $22 price tag. SOUTH-Eastern NSW’s Bidgeebong Wines can justifiably lay claim to coming up with one of our more distinct drops of Shiraz, both because of the district in which it’s located and the methods used in the vineyard it gets its fruit from. Located on the outskirts of Wagga Wagga, its grapes come from the so-called Bidgeebong Triangle bounded by Tumbarumba in the foothills of the Snowy Mountains, Young, and the Murrumbidgee plain around Gundagai. Fruit for the just-released 2004 Icon Series Shiraz came from the Billinudgel Vineyard of former naval officer, Peter Paffard and his wife Anne, in the Tumbarumba district – one that’s more generally regarded as Chardonnay country, but which being protected from chilly alpine winds, also produces exceptional Shiraz fruit that’s quite akin to that from France’s Rhone Valley. The Paffards are organic devotees, do not till the soil, avoid sprays, and as they’re totally surrounded by natural bushland, employ backpackers to shoo-off native birds as the grapes ripen. In the case of the 2004, all this resulted in Bidgeebong’s Director of Winemaking, Andrew Birks enjoying that exceptional fruit to produce an elegant wine that’s loaded with forest berryfruit flavours, a touch of spice and nice oak. Pay $35 and enjoy this one with grilled lamb back-straps accompanied by steamed baby ’taters, carrots and beans.